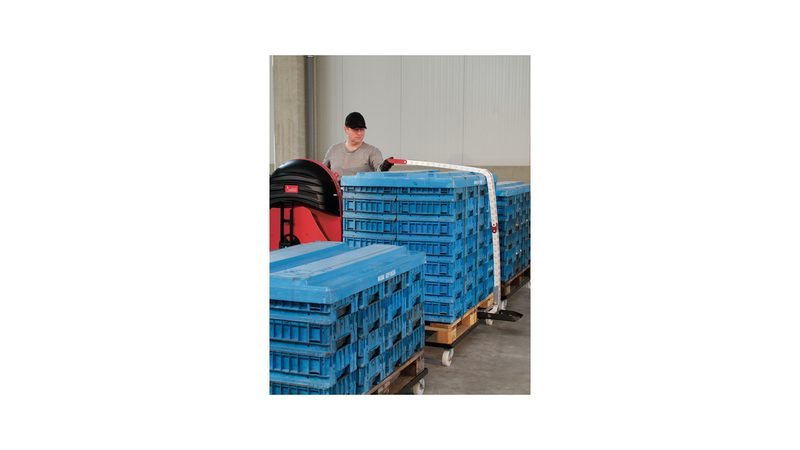 Ergonomic pallet strapping system for elevated pallets. With the height adjustable High-End version of the thousand-fold approved 725E, also elevated pallets can be strapped now in an ergonomic way, in an upright position and without bending. This is made possible by a levitating double ChainLance. 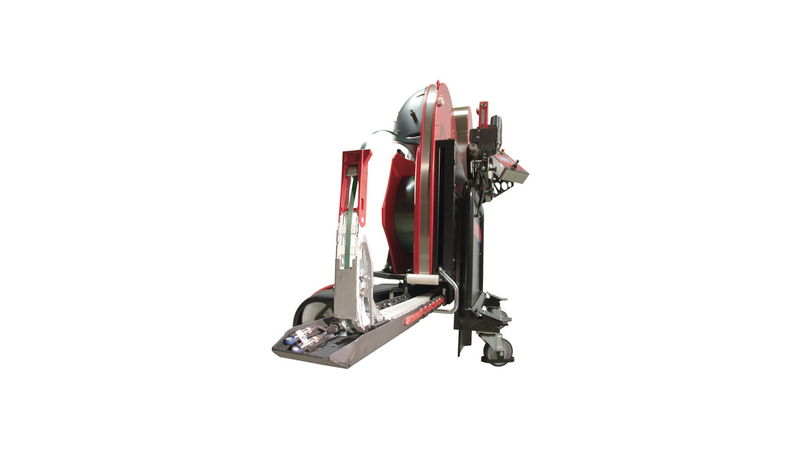 The double ChainLance can be adjusted continuously up to 550 mm height. 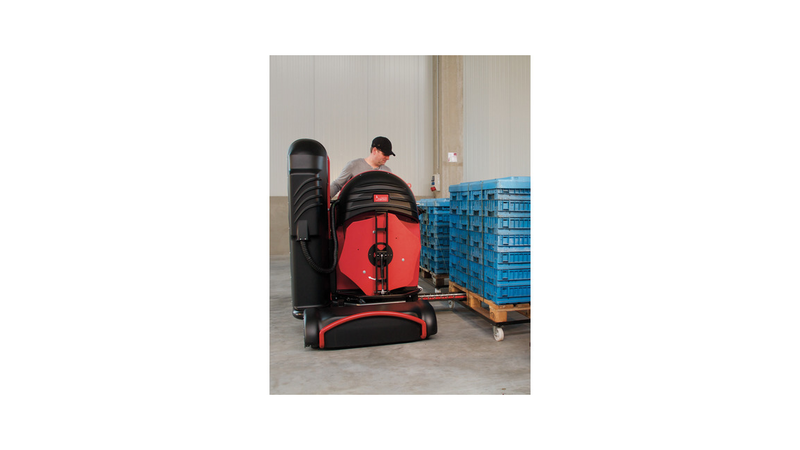 Furthermore, the Air-version is equipped with two ultrasonic sensors for automatic pallet width detection.